Your initial review/opinion on 2k17? 1) the plain white main menu looks super boring and a little cheap lol am I the only one who thought "this is it?" 3) the players feel heavy, which is sort of good and bad? On defense, I really feel like I'm getting a body on them and diving on the floor feels really smooth and organic. Marcus Smart is a blast to control on D, honestly. However, on offense, I feel like it's so hard to navigate. Maybe I just need to adjust but IT4 feels real slow lol! any tips?? 5) the on-the-fly coaching will definitely take a little getting used too but I like it. I think it's better than using the d-pad to cycle through the options. Anyway, those are some of my initial thoughts. Haven't tried the other game modes yet! What are your guys thoughts? Re: Your initial review/opinion on 2k17? That's unfortunate -- sounds like '16 may be better? I still have like 8 more solid seasons in me on career mode. Is the mode where you create a player and follow him throughout his career still a massive grind that takes untold hours to make your crappy 65 overall scrub into a decent player? I only buy on the even years. That's the only way I get value out of the game. I have 4 games left in my career 2nd season. It might be. The shooting timing is what's frustrating me the most, really. But then again, I haven't played since last night. I dunno how much of a grind it is but hey, there's an app that helps you out in getting more VC. I foresee less of a grind than the first iteration of myplayer, TBH. Plus, I believe it was last year (or 2 years ago) when they introduced a "simulate game" feature. I haven't played a 2k since 2k14 for the release of the ps4. I have heard great reviews on 2k17 though, tempted to pick it up. I hated the storymode on 2k15. I think LilRip you are right... the players feel too heavy (at least to my like). But i think it`s a matter of practice. This makes the game slow at least in the beginning but it makes it more real at the same time. I got the PC version a few days ago and I've played it a bit. - I also agree that the jumpshot animations seem faster in general. I like this, as I found in the past that I was always releasing shots too "early." Jumper animations for some guys were impossibly slow in the past. Some players that are great shooters in real life were almost unusable because of their slow animations. It seems that may have changed for this year's game. - Defense is difficult to play in this version. - Playing against the computer so far, I'm finding that the AI sells out hard to prevent shots from the perimeter, to the severe detriment of the interior defense. I'm getting open rim-running dunks and drives to the rim with all kinds of guys, including combo-wings with below average athleticism. - They changed up the pick and roll controls a bit; I think it adds extra control, but for now it's tough to get used to. The picks seem to come a lot slower, and unless you tell them which side to set the pick on, the pick often gets set in a direction that funnels the ballhandler away from space rather than toward it. I need to play more, and eventually I'll tweak the sliders. So far I've enjoyed the game. It's clear to me how watered-down the PS3 version of the game was last year now that I'm playing a full-feature version of this year's game. Like the game thus far but they REALLY need to update the C's attributes. There no way Horford is a F from three, same with KO. They severely underrated the C's in terms of attributes. Can't wait for the update. But controlling Marcus Smart on D is so much fun. Sometimes the letter grades for player attributes don't mean a lot. I don't think that Horford or Olynyk should have an amazing three point rating, just because those guys can't exactly bomb contested threes. They shoot a good percentage on outside shots that are wide open, and they typically don't take a three unless it's wide open. As long as Horford and KO are able to get off a wide-open spot up three, and are able to hit those shots consistently, the rating is fine. People focus too much on overall ratings and the letter grades for basic attributes. Use the player and ask yourself if they seem capable of doing what they do in real life. The letter grades aren't exact. Change it to numerical ratings (or check out this video at 1:45: https://youtu.be/Au90GR08UQg). There's different ratings for open, moving, contested 3. You'll see guys like Horford and Kelly have good open 3 ratings, but on the move and stuff, they're not as good. Which is realistic. Since they expanded the shot ratings this year to 3 different measures, is why guys who we think are good shooters still have bad letter grade ratings. Numerically, they're fine. I could very well see the Hawks... starting Taurean Prince at the 3, who is already better than Crowder, imo. Yes they want it to take 120 or so games played for him to be decent. That's nuts. I've never figured out how people can stand to play that many games in career mode. It's a fun concept but it gets old for me really quickly. Im a 75 rated Point Forward. My career is still a grind but its much more rewarding then previous years. Theyve incorporated an on the court relationship with fellow rookie Michael B. Jordan from the movie "Apollo". As you continue to play well with each other you get special abilities, like being able to toggle between yourself and the co-star on the fly. It makes the game a lot more fun when you actually want a teammate to succeed. I love the white menu theme a hell of a lot better than dark and gloomy 2016 menus, but thats my personal preference. The audio presentation is 10/10, arena atmosphere just outstanding. 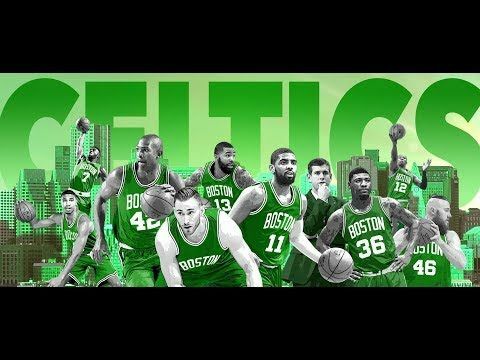 I played one game with the C's and they still have IT slow as hell on defense. I don't think they will ever give IT respect on D. One thing that surprised was the play of Amir Johnson. He is an absolute beast with the help Defense, and a monster in the paint. The free throw shooting is the downfall with him. They are updating the roster prior to opening night and have an update to GM mode scheduled for it. Im more of a GM player so Im looking to forward to how that turns out.